The TQ100, manufactured by Kett, is a long-life laboratory jaw crusher which is suitable for use in crushing grain, seeds and other hard particles. 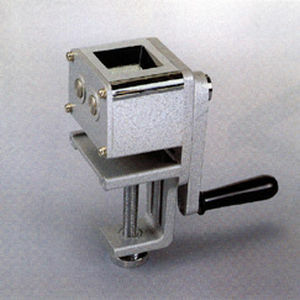 This device is equipped with a roller which crushes samples. It features light alloy construction and it is equipped with a clamping screw which allows easy clamping to the edge of a table or a workboard.